Bright pants have been on trend for a few months now (see our post on bright trousers here), and we're still in love with these vibrant hues. In order to get more wear out of this trend, stick to a more basic color like blue. 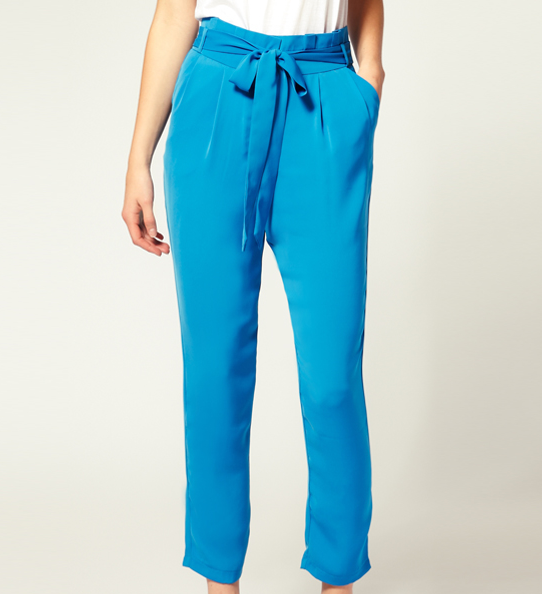 We love these belted pants by ASOS! The color is gorgeous, and you won't be sick of them by next season. Plus, they are under $20, so you can't really go wrong!